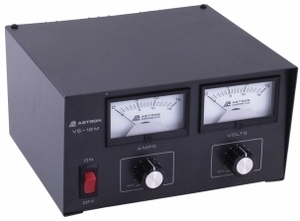 Solid State precision regulated power supply. Features current limiting, short circuit protection, rugged construction, high quality tuning controls, all metal heavy gauge casing in a attractive rack mount/ table top design. The VS20ML includes a cigarette lighter socket. Output Voltage (VDC):	2-15 Adj.